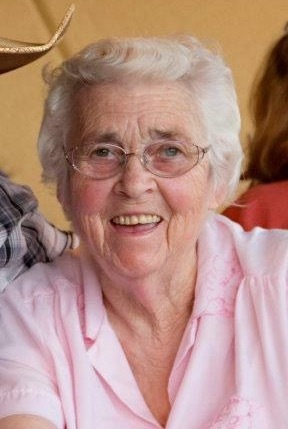 Lucy K. Carpenter, 91, of Lancaster, passed away Friday, November 30, 2018 at her home with her family. She was preceded in death by her loving husband, Jimmie. Lucy was born on June 29, 1927 in Madison County, KY to the late Walter and Bertha Scoggins Conn.
Lucy was a member of Pentecostal Fellowship Church in Lancaster. Surviving is four sons, Dallas Wayne Carpenter of Lancaster, Tony Carpenter(Judy) of Lancaster, Jerry Dean Carpenter of Stanford, and Bobby Joe Carpenter(Sheri) of Lancaster; two daughters, Delores Hatfield(Jerry) and Sheila Adams(Kendall) both of Lancaster; one brother, Harold Conn(Rosetta) of Lancaster; twelve grandchildren, Kenny Hatfield, Billy Carpenter, Angie Cash, Katrina Collins, Crystal Tuggle, Eric Carpenter, Billy Jean Maddix, Jennifer Mobley, Elizabeth Adams, Haley Carpenter, Kevin Carpenter, and Cory Carpenter; nine great-grandchildren, Lee Collins, Austin Collins, Kimberly Collins, Dylan Collins, Bailey Goins, Dakota Goins, Ashley Pittman, Luke Carpenter, Braylon Tudor, and Isabelle Carpenter; two great-great grandchildren, Liam, and Connor Pittman. Lucy along with her husband and parents was preceded in death by two sons, Buddy Carpenter and Bill Carpenter; two brothers, Cecil Conn and Lewis Conn; a sister, Anna Frances Lear; and two grandchildren, Lisa Carpenter and Arlon Carpenter. Funeral services will be 1:00 Wednesday December 5, 2018at Spurlin Funeral Home Chapel with Pastor Jim Cook officiating. Visitation will be 6-9 PM Tuesday. Burial will be in Manse Cemetery in Paint Lick, KY. Active pallbearers are Kevin Carpenter, Cory Carpenter, Austin Collins, Eric Carpenter, Bailey Goins, Dakota Goins, Dylan Collins, and Lee Collins. Honorary Pallbearers will be the granddaughters.